Located on a large idle zone cove on 500-Acre Lamb Lake! Wonderful lakefront ranch w/walkout basement & great lake views! 4 BRs & 3 BATHS, 4500 SF, Brown County stone fireplace. Master BR suite w/lake view & spacious bath. Possible In-Law Qtrs in bsmt. Wet bar & rec room plus FR & Bonus Room & Much More! Updates include brand new roof! Handy circular drive w/lots of parking. 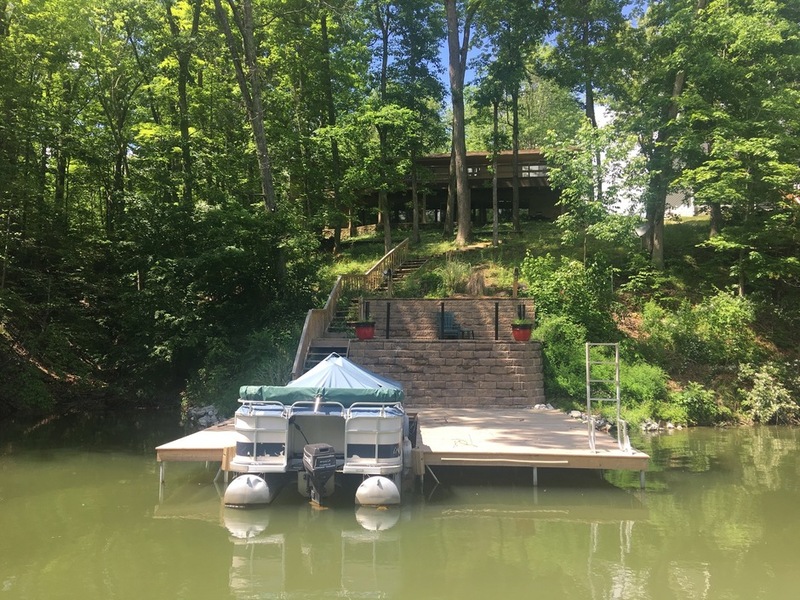 Moderate steps to new boat dock with sitting area to enjoy the lakeside. Fish/Ski/Swim, private beach w/shelter house. The lake is awesome. I want to buy this house, so, please, add more information about the location. Thank you for understanding. Best wishes. The house is pretty, without a doubt. I like that it has a small sitting area to enjoy the lakeside. be smart to wear wigs and bangs way, then what wigs Liuhai good? The houe is very modern and stylish. I want to say that this short story triggers the best emotions! Woow, it looks so calming and patient. I would like to have a house near such lake. I would do fishing and taking sun bathes. I love water so much. The fresh smell, the wind sound in the grass on the shore. Looks like a movie to me. I'm sure, even writing a review for http://essayguard.com/services would be better near such lake. https://www.yousufmedia.com/ by visiting this site I found cool stuff here keep it up. Nice Share, This place is really nice for faimly. Your site has a lot of useful information for myself. http://colorswitch2.com I visit regularly. Hope to have more quality items. That's is a great place, however purchased this is a very lucky person. Consumption dream, it seems of very good quality. This is really nice to visit your website. I read your article this is really very informative. I had many useful things from your article.Thanks for shearing that kind of post. Well this will provide a good practice for the students because they will be able to practice it practically and they will understand the concepts better.